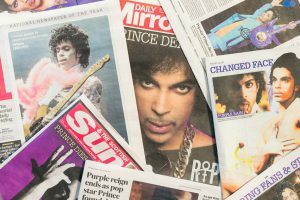 With the sad news of Prince’s death, the world also learned that he left no will for his massive fortune. This leaves the courts −and not Prince − to decide how it will be distributed. Despite his creative abilities, he did not expect or plan for his death, and is among the more than 70% of American adults who die “intestate,” or without a will. Legal experts are predicting a drawn-out, costly case over Prince’s assets, probably lasting years. Why is a will one of the most important legal documents a person will ever sign? To put it simply, a last will and testament provides direction on the distribution of your money, assets, and property after you die. In addition, a will serves three other very important functions: appointing an “executor” who will administer and make sure your wishes are fulfilled, appointing a guardian for children, and supporting your favorite charities. Typically, a will must be written, signed, dated, and witnessed by two people to be legally valid, and in some states, must also be notarized. When a person dies intestate, their estate will be distributed according to the laws of the state or country in which they lived. Planning for our end of life is a difficult topic for many, but don’t let fear prevent you from making a will and giving peace of mind to your family. By providing them with a clear roadmap of your wishes, you will prevent any possible disagreements among family members at a vulnerable time, the cost of lengthy legal battles that these family disputes can bring about, and the possibility of the state making important decisions on your behalf. Creating a will allows you “to make it right,” as you define it, and “forget your worries” about having others interpret what your wishes might be. In addition to creating a will for your money, assets, and property, it’s equally important to memorialize your wishes for care at the end of life by having a “living will” or Advance Health Care Directive. This document will include information such as who you want to make health care decisions for you when you are not able, the kind of medical treatment you want and don’t want, how comfortable you wish to be, and what sentiments you’d like your family to know. For complete legal guidance regarding a will, please visit an experienced attorney. Click here for tips and resources to help get you and your family talking about your end-of-life wishes.